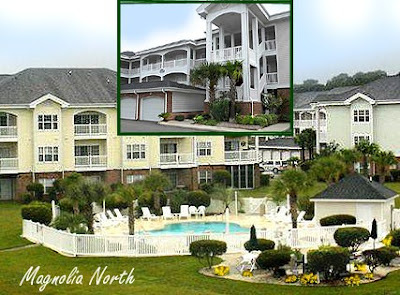 Life in a golf course community is extraordinary from the scenic views to the upscale amenities and the residents of Myrtlewood Villas can also boast of the perfect location, right in the middle of everything that makes Myrtle Beach an exciting, bustling tourist destination. Whether you are looking for a primary home, the perfect retirement home, or a rental income sure to attract tourists Myrtlewood has it all. 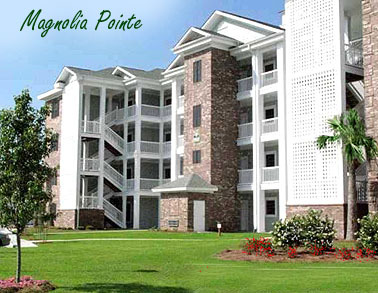 The condo community is made up of 3 subdivisions called Magnolia Pointe, Magnolia Place, and Magnolia North. 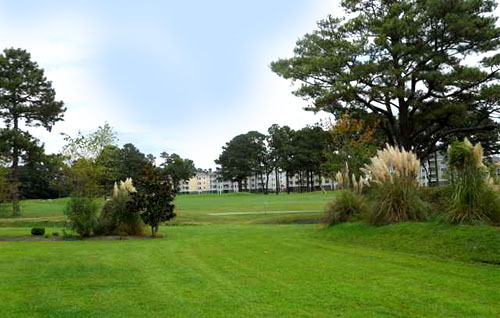 Developed individually, each neighborhood borders the Myrtlewood Golf Course and features its own amenities. Condos come in 1-3 bedroom floor plans and the complex just finished adding a million dollar fitness center and indoor pool to the outdoor pool, multiple Jacuzzis, kiddie pools, and lazy river. Of course, there is golf at the stunning Myrtlewood Golf Course. 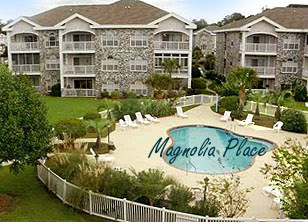 Newest of the subdivisions, Magnolia Pointe has new 2-3 bedroom units for sale. These are the most lavish units with garages and elevators. Prices run from $150,000 to over $200,000. Magnolia Place was the first of the Myrtlewood subdivisions. The 1-2 bedroom units are known for their “weeping Mortar” brick facades and are priced under $100,000. The second development added to the complex was Magnolia North. The 1-2 bedroom condos have Hardi-Plank siding and most of the units offer a single car garage for $100,000 to about$150,000. Just outside of the community, Myrtle Beach is waiting to be explored. Broadway at the Beach is just a few blocks south, offering great shopping opportunities, family entertainment, and fine dining. The beach is just a short golf cart ride away. Myrtle Beach Airport is conveniently close by as well. If condo golf course living has you intrigued, visit our website for more information and call our real estate professionals today to schedule a private tour of the amazing condos for sale at Myrtlewood Villas.